Barbara Gonzales (Tahn Moo Whe) was born in 1947. She is following a rich family tradition. She is the great granddaughter of Maria and Julian, and the eldest granddaughter of Adam and Santana. 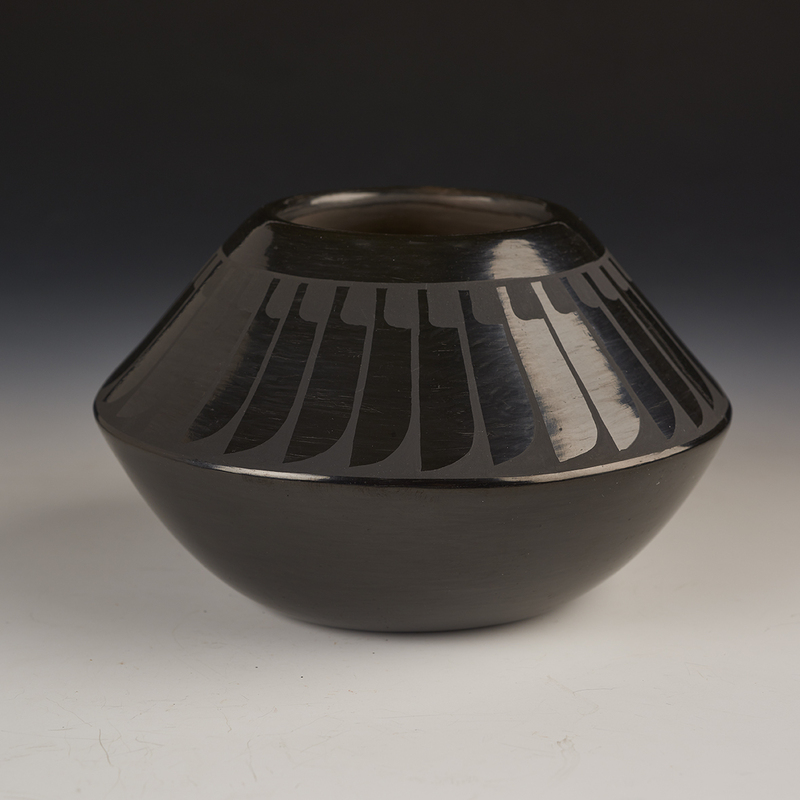 In this feather bowl, she is following a pattern and style set by Maria, soft black on polished black. 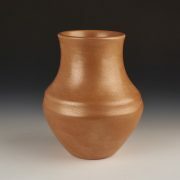 Barbara, living in the San Ildefonso Pueblo, has been a serious potter for almost 40 years. 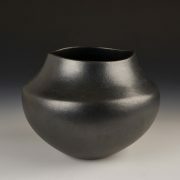 Regarded as an award-winning potter, she frequently lectures at museums, schools and cultural events. Her husband, Robert, assists Barbara using traditional San Ildefonso ways of potting.